The Israel Antiquities Authority announced an important discovery in the Jerusalem Walls National Park today. 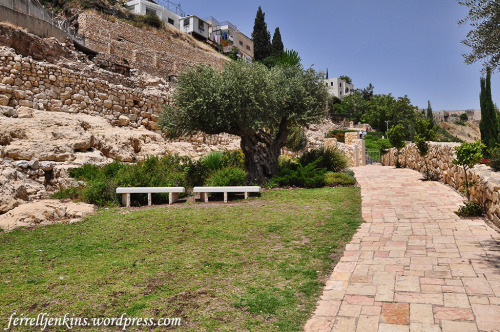 Our photo below shows a portion of this park on the east slope of the city of David, overlooking the Kidron Valley. The view is north toward the southeastern corner of the Temple Mount. Jerusalem Wall National Park on the east slope of the City of David. View North. Photo by Ferrell Jenkins. I do not know the exact location of the new discovery, but this photo may give you some idea of the area. Here is the IAA News Release.